August | 2014 | Books Now! Jeanette Winterson was the keynote speaker at the Byron Bay Writers’ Festival, just wrapping up. 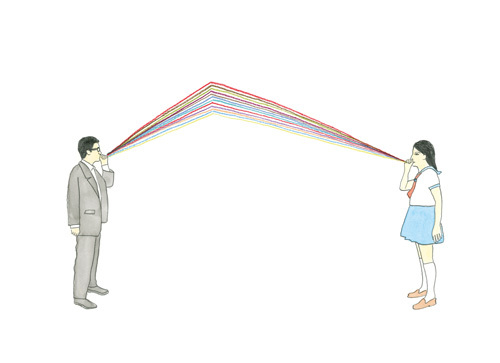 Here’s Maria Popova’s feature taken from her blog Brain Pickings. 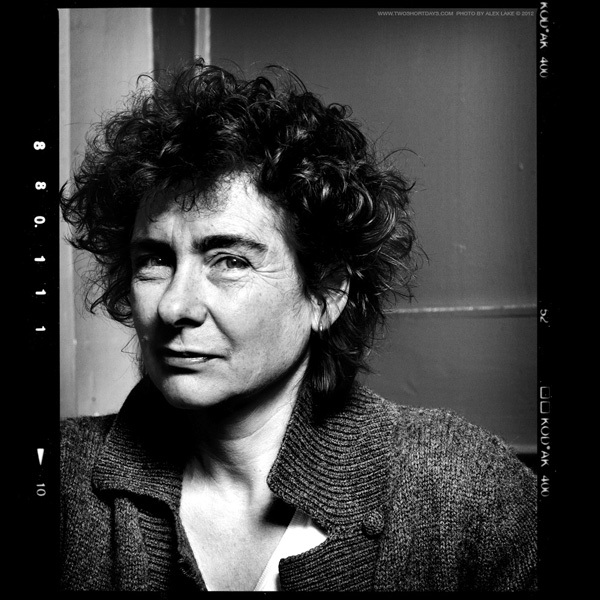 In September of 1994, beloved British writer Jeanette Winterson joined Canadian broadcaster Eleanor Wachtel on the air for a spectacular conversation, later published in More Writers & Company: New Conversations with CBC Radio’s Eleanor Wachtel (public library) — the fantastic collection that also gave us Chinua Achebe on the meaning of life and the writer’s responsibility. Of course it was extremely useful training to be brought up in an environment where you must attract other people to your way of thinking, you must win them over; it’s the art of persuasion, it’s rhetoric in the old-fashioned sense. I learned how to handle language and the spoken word and the written word, and I learned how to persuade. That’s what preachers do, that’s what preachers are, and the most successful preachers are the ones who are able to convince their audience that the audience themselves have got it wrong and the preacher’s got it right. And the artist tries to do this too—there are close parallels — except the artist does it in its own right, for its own sake, not for some higher purpose, not for God. You can see from the look on somebody’s face whether or not you’re persuading, and that does translate itself to the way you then write. It’s not that you have an audience in mind, it’s simply that you can imagine what will perhaps tilt the balance in your favor, how to get underneath the barriers and the defenses which people normally put up to protect themselves from intrusion. For me, language is a freedom. As soon as you have found the words with which to express something, you are no longer incoherent, you are no longer trapped by your own emotions, by your own experiences; you can describe them, you can tell them, you can bring them out of yourself and give them to somebody else. That is an enormously liberating experience, and it worries me that more and more people are learning not to use language; they’re giving in to the banalities of the television media and shrinking their vocabulary, shrinking their own way of using this fabulous tool that human beings have refined over so many centuries into this extremely sensitive instrument. I don’t want to make it crude, I don’t want to make it into shopping-list language, I don’t want to make it into simply an exchange of information: I want to make it into the subtle, emotional, intellectual, freeing thing that it is and that it can be. Illustration by Sydney Pink. Click image for details. Yes, it is artificial, but it is, as yet, the best way human beings have found to communicate to one another their deepest, their most difficult, feelings. And that is the preserve of poetry and of true fiction, to put roots down through the surface into the subsoil of the human heart and to draw up those elements that would otherwise lie locked there, unheard, unspoken, perhaps unregarded. Language can do that, and I think that it is the duty of the writer to go on pushing language forward because if it’s not developing, if it’s not growing, if people aren’t using it in unique and different ways while at the same time regarding its tradition, then that language is going to start atrophying. Art forms must always change… You cannot stop in art, you cannot fossilize art in a redundant form, and you cannot take a point in history and favor it above any other point and say, ah yes, this is the way to do it. If you want to read nineteenth-century novels, there are plenty for you to read, and you may as well read the real thing and not go out and buy a reproduction. Personally, I loathe reproduction furniture; I’d rather have something made by a living designer, just as I’d rather have something made by a writer now who, whilst recognizing patterns and traditions, is prepared to go on pushing the experiment forward. Readers, I think, are more sophisticated on the whole than critics. They can make the jumps, they can make imaginative leaps. If your structure is firm and solid enough, however strange, however unusual, they will be able to follow it. They will climb with you to the most unlikely places if they trust you, if the words give them the right footholds, the right handholds. That’s what I want my readers to do: I want them to come with me when we’re going mountain-climbing. This isn’t a walk through a theme park. This is some dangerous place that neither of us has been before, and I hope that by traveling there first, I can encourage the reader to come with me and that we will make the trip again together, and safely. 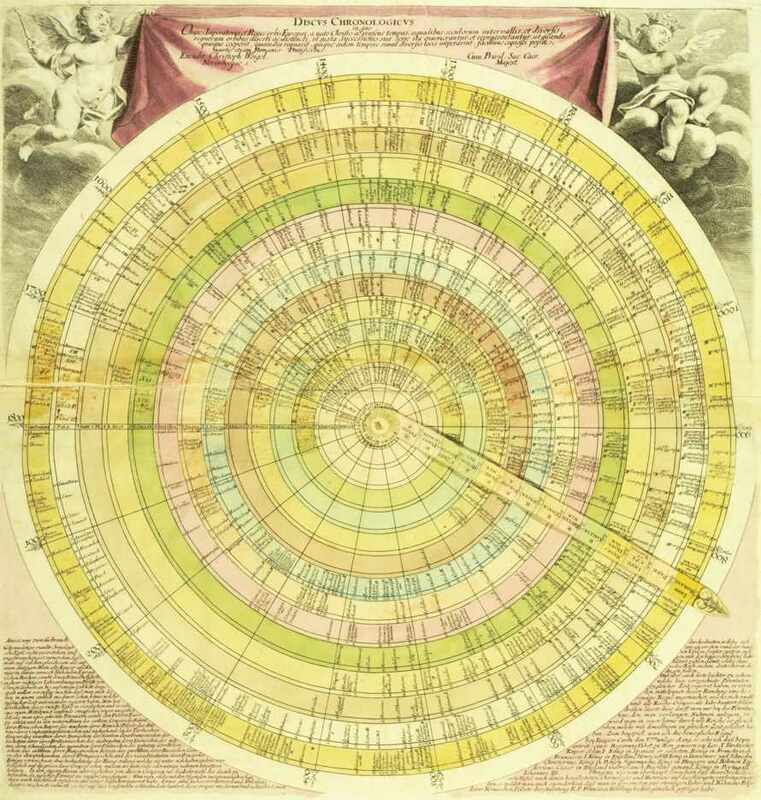 Discus chronologicus (1720s) from Cartographies of Time. Click image for details. 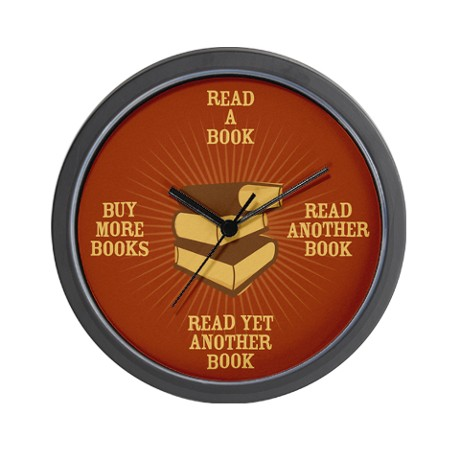 I can see no reason to be bound by chronological time. As far as we know, the universe is not bound by it; as far as we know, it is yet another construct of ours, this worship of the clock and the idea that there is a past and a present and a future which trot along obediently in line and never swap places. In our own lives we know that that’s not true because human beings seem capable of moving imaginatively, backwards and forwards, of pushing out of the body. I think of it really as an out-of-the-body experience — that’s not something that only shamans and New Age hippies have. It’s something that we all have quite often in our lives. And I wanted to bring that into fiction because it seems to me to be a more honest reality than the rather dull reality of the clock. Art & Lies is a journey into deep inner space, and the characters in the book are not characters in the physical sense that we know them on the street or perhaps even in our own lives. They are consciousnesses. They are ways of talking about ourselves, writ large, as we might be, more than we are. I know that the world of Art & Lies is a strange one, but it is a deeply emotional one and it is one which probes and peels away at the complacencies and habits that we take for granted and drag behind us as so much baggage in our lives. The worlds that I create are always worlds where it’s possible to find new space, not to be cluttered any more, to leave behind things which perhaps drag you down, things that you don’t need. In the book there is this freedom from gravity that we’ve been talking about. It is a sanctified space. And when you come out of it, what you do is up to you; but for a while it puts away the clutter and the jangle of modern life and gives time, infinite time. It may take four hours to read the book but actually it takes an entire life. The journey that you make is not one of the clock: it’s an interior one, and in it you travel through time, through space, through place. Because it’s a space that has been cleansed of other associations. It is itself, it’s coherent, it’s self-realized, it exists in its own right. Every work of art must be that; it must be a closed world. That is, you must be able to enter it and find it coherent and orderly, and be able to return to it to discover things you hadn’t found at first. But there is something cathedral-like about it: it’s a place where you can rest, contemplate, refuel and go out again knowing that it remains there for you. All art presents a sanctified space. If I wasn’t in love with language, what right have I to be here talking to you? What right have I to put pen to paper? It’s more than a job: it’s a life, it’s a vocation, it’s everything to me, and I must fulfill myself in that way and by fulfilling myself, I hope that I can give the best possible work to my readers. Unless I have a thorough soaking in all writers who have written in English then I cannot call myself an English writer. It’s a fantastic language, and to be ignorant of it as a writer is a sin that must exact the ultimate penalty, I think. If hell exists, that’s why one would go there, for calling oneself a writer and not knowing anything about English literature. 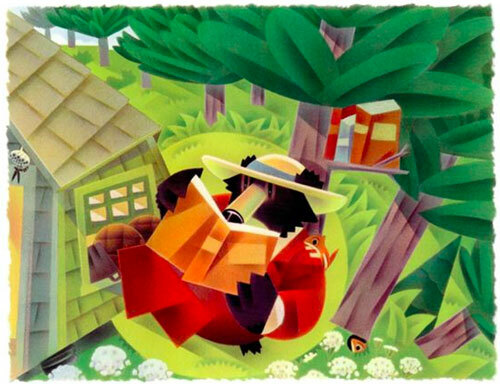 Illustration from ‘Henry Builds a Cabin,’ a children’s book about Thoreau’s philosophy. Click image for more. Art can make a difference because it pulls people up short. It says, don’t accept things for their face value; you don’t have to go along with any of this; you can think for yourself. It gives you a kind of self-reliance. We all feel powerless and we can’t really manage to do anything because there’s just so much. I want to try and cut through those feelings of apathy and powerlessness and be a kind of rallying point, offer a rallying cry, to people who would otherwise feel dispossessed. It’s an individual answer, and it’s certainly not an answer that can be got easily. It’s the answer of a lifetime. It seems to me to be the work that we are here to do, to answer that question — first of all in our own lives and then as a community… But I do think [the question] has to be asked, and if people then begin to ponder on it and ask it of themselves, then that is a good thing. I do believe that when you start asking these questions, you find the answers that you need, if you’ll put in the effort, even if it takes a lifetime. It’s from the Latin invenire, which means to come upon. This takes us back to Plato’s idea that we are in a continual state of remembering, that the human life span is to remember, to remember the things that we are, that we can be, that we’ve left behind — to remember the glories of the soul, as Plato would have seen it. [For the artist] it is a question of always going back and uncovering what is already there because the artist is something of a dredger: you have to let down your net and pull up things from the mud, from the silt, that are unrecognizable, that have been forgotten, that have lain disused and ignored for a long time. You bring them up and you clean them off and you look at them and you bring them back into the present where they can speak, where they have a place. I think it’s a dual role of dredging and of cleaning, but then also of re-creating so that you are always offering something that is right for your own time, that is new in itself. ‘Down the Rabbit Hole’ by Lisbeth Zwerger from Alice in Wonderland. Click image for more. To learn how to heal yourself seems to me to be the most important thing that you can do because at that moment you are genuinely self-reliant, and if other people hurt you — as they will — it won’t matter because you have now in your own hands the tools of healing. I have to believe that in the end what is good, what is honorable, what is exceptional about human beings will triumph over what is simply small and mean and devious. If I didn’t believe that, I might as well slit my own throat now and certainly stop work, because writers have to believe that their words will carry on speaking to people and that there is a people worth speaking to. You have to believe in a kind of continuity, and you do especially because you look back at the past and you were glad that those books have been written, that they exist, that they are there for you now, and you want to go on adding to that. More Writers & Company, a sequel to Wachtel’s first compendium of interviews, is a superb read in its totality, featuring conversations with such literary icons as Harold Bloom, Oliver Sacks, Isabel Allende, Alice Walker, and John Berger. Complement this one with Winterson on adoption, belonging, and how we use storytelling to save ourselves and the value of art to the human spirit. 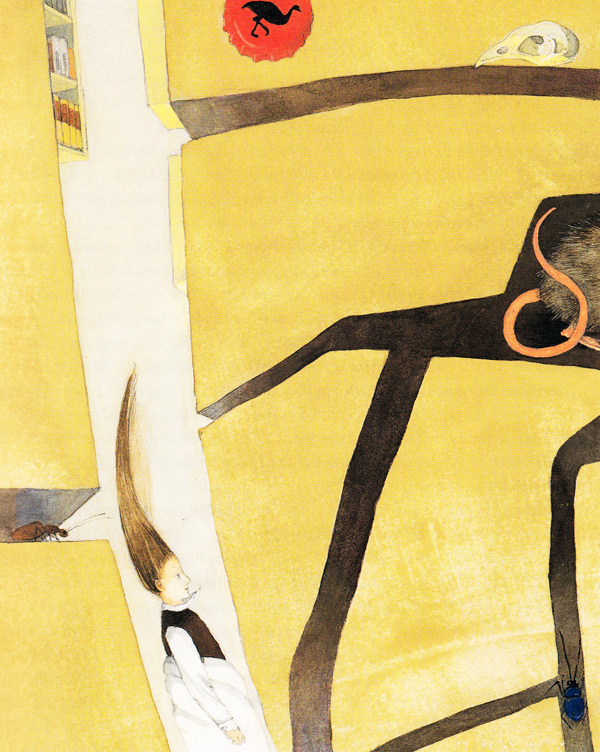 Tags: art, Brain Pickings, creativity, Jeanette Winterosn, Maria Popova, writing | Permalink.